The holiday season is in full swing. Bring on the food, the fun, and celebrations with family and friends. Whether you have some shopping left to do, a holiday party to get to, or want to drive around your neighborhood looking at all the holiday decorations, you’ll need a car to help you achieve all your holiday goals. Make a statement this holiday season; driver around town in a luxurious new Buick from Bill Harris GM. This holiday season, you can find exceptional savings at Bill Harris GM during the Buick Holiday Event. You can enjoy big savings on the sporty and fuel efficient Buick Regal. Well qualified customers can enjoy $500 Customer Cash now on the purchase of a new 2013 Regal. Perhaps you need a larger vehicle to haul passengers and presents across town. The Buick Enclave is a spacious and refined luxury SUV that easily seats up to eight passengers. Right now, well qualified buyers can enjoy a special financing rate of 3.9% APR for 60 months on a new 2013 Buick Enclave. There are also great incentives on the remaining new 2012 Buick models we have in stock. These are just a few of the examples of the offers you’ll find at our Ashland dealership during the Buick Holiday Event. Visit us online at www.billharrisgm.com or stop by and see us for a test drive and for complete offer details. You won’t want to miss this event! 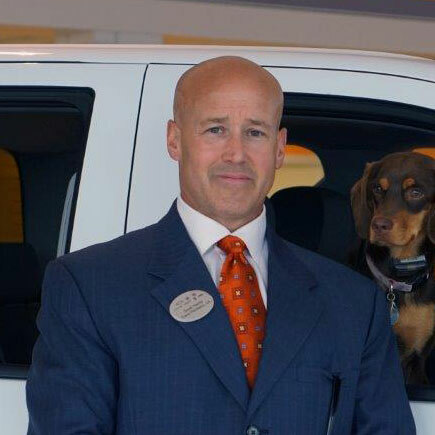 Scott Harris is the General Manager for the Bill Harris dealerships. Find out more information about this author on Google+.